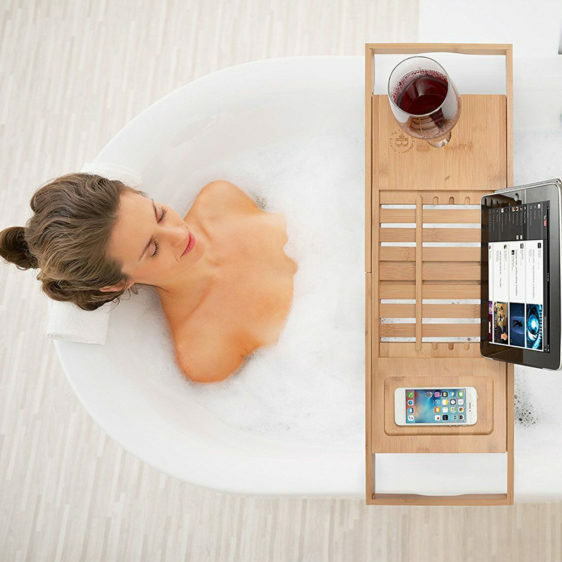 Bambüsi has designed a unique bathtub caddy that will give you an ultimate relaxation. Everything within this caddy has been ergonomically designed for the sleekest, easy-to-use, simplist bathtime enhancement. Bambüsi by Belmint presents a choice collection of lifestyle products that are crafted with 100% naturally beautiful bamboo. This caddy is no exception, bringing you a trendy, modern look that’s durable, decorative and practical. No more stretching for you! 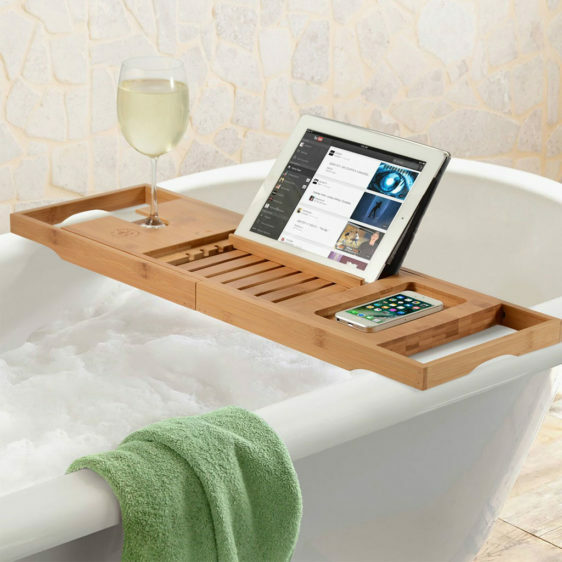 You can now easily have everything you need with the Bambüsi Bamboo Bathtub Caddy Tray! 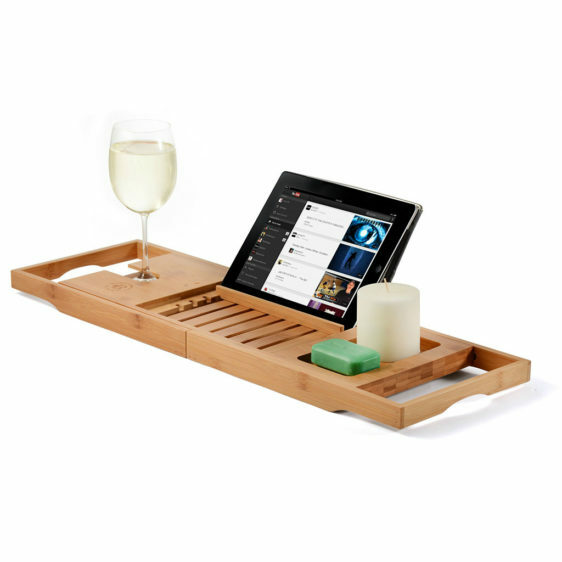 Unlike fragile alternatives, our gorgeous tray can easily and safely accommodate your smartphone, tablet/book, wine glass and candles needs while relaxing in the bath. The attached steel bar flips up to support your reading material or device at the perfect angle. It also folds down for the neat stowaway. An adjustable bamboo bar can also hook into one of three positions to hold your book or tablet in place. In addition, a built-in wine glass holder provides a secure and stable grip. The slide-in slide-out design easily fits most fine stemware without scratching or damage.